Puppets are a fun and delightful way to introduce creative play to learning nursery rhymes. Whether homemade or store bought, your little ones can engage in lots of new ways with rhymes, story telling, play acting, and just stretching their imaginations. They can create all sorts of animals and characters from their favorite rhymes, their favorite bedtime story or any creature they happen to like. 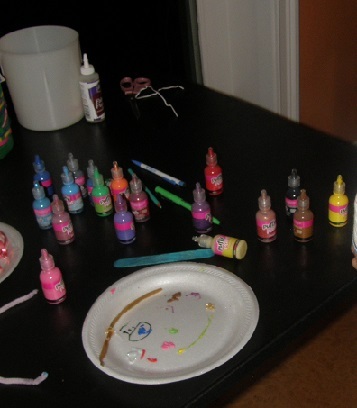 Around here, making puppets have become one of my grandchildren's favorite arts and crafts activities when they visit. After their first creation, my grandson announced that every time they stayed over and woke up in the morning, they were going to make puppets. And so far, that is what we have done with each visit. So we are learning how to make them from all sorts of materials. Collecting the materials needed for their new activity has been pretty easy to do. We have the typical arts and crafts supplies on hand already. We've just added a few new items to our stash, like small sized socks, various sizes of paper plates, foam sheets, colored construction paper, small boxes, lunch sized paper bags and anything else we can dream up that will be used to make a new character or animal. Homemade puppets come in lots of variations. There are finger puppets, which can be knitted, made from gloves or fabric. Or get real simple and just paint or draw faces right onto their little fingers. Sock puppets are a real treat with my two little grandchildren. They've made several different ones so far. It's fun to see them wondering around with their sock creature on their arm carrying on a conversation with it. Paper plate puppets allow them to create unusual faces. Then we simply glue popsicle sticks to the plates for them to hold when they play act with their new found friends. Foam sheets, cardboard or construction paper can be cut into virtually any shape to create animals, faces, vehicles, buildings or whatever they want to have for their play acting. Again, we add popsicle sticks for them to hold. Lunch bags and small gift boxes can also be used to create some interesting characters. Creating their very own puppets allows your little ones to really use their imaginations. Not only do they have fun, they are learning new skills as they draw, paint, cut, glue and assemble their new found fun. 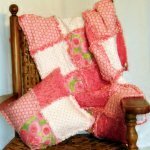 Arts and craft activities have lots of benefits with their development. Your little one learns to stay focused and concentrate on the task at hand. They improve their dexterity with managing safe scissors, coloring, painting, gluing and even a little sewing. They learn some very basic project planning with determining the tools and materials they need, the tasks they must perform and in what order those tasks should be done. And of course they learn confidence in what they can do and take pride in their accomplishments. Beyond the making their very own characters, the little ones move on to creative play. Creative play makes learning a fun experience. Just look at the great educational benefits little ones get from playing with puppets. WOW! Who knew that play acting could teach us so many wonderful life skills! One last thing to complete the fun, a theater for them to use to produce their wonderful rhymes and stories. Theaters can be as simple as a piece of fabric or sheet draped across the back of a chair to cardboard boxes with an opening cut out. Or you can get very elaborate with an actual constructed theater. No matter what materials their characters are made out of, nor whether they have a formal theater or not for their production, you and your little ones will find homemade puppets fun and exciting. Paper Plate Puppets - funny faces with stick legs! 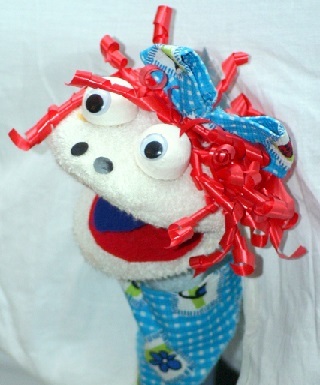 Sock Puppets - easy craft for those single left behind socks!